Mazda 3 Fastback Performance, Engine, Ride, Handling | What Car? The smooth 118bhp 2.0-litre petrol engine has enough power to make reasonable progress, but you’ll have to rev it to get up to speed, and you’ll be swapping gears often to stay in the power band. This can be a chore when overtaking or tackling steep hills. The smaller 1.5-litre diesel engine has just enough torque to make it feel at home in town, although it can feel a bit gutless if you want to accelerate from higher speeds. It’s quite noisy, too, and it isn’t the smoothest-revving unit, although it does settle down at motorway speeds. The 2.2-litre diesel is the pick of the range if you do a high mileage. There’s plenty of grunt at low revs, and it’ll continue to pull right through the rev range. It does look pricey next to the petrol engine, though, and the diesel grumble is an ever-present companion. The Mazda 3 handles well, and has good levels of grip. It steers with reasonable precision, too, even if not quite as sharply as one or two of its rivals, and the steering is light enough around town to make parking easy. It also has a comfortable ride. There is some body roll through faster bends, and some dive and pitch when braking or accelerating hard, but for most of the time its body control is nicely progressive and well contained. Lower trim models have smaller alloy wheels, which soak up road surface lumps and bumps well, although the larger alloys on the Sport trim can transmit thuds from a poorly surfaced road directly into the cabin. 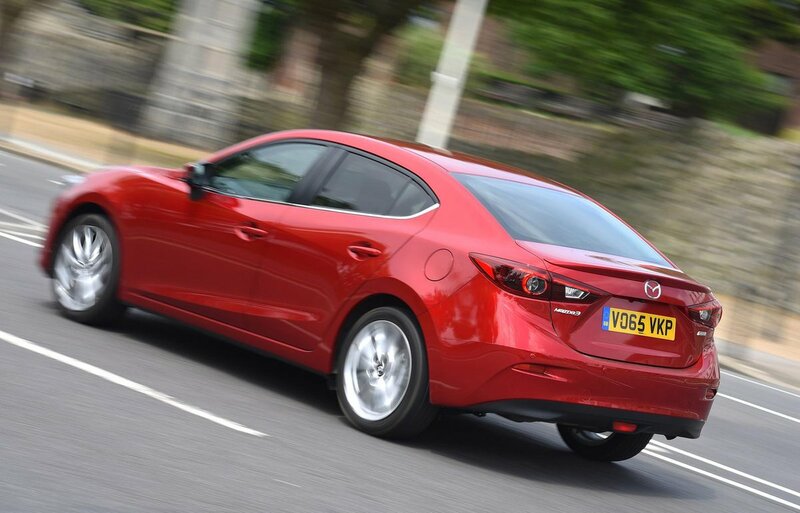 Refinement is an issue in all versions of the Mazda 3 Fastback, unfortunately, with noticeable engine noise from all three versions, as well as plenty of wind noise on motorways and a high level of road noise, too. 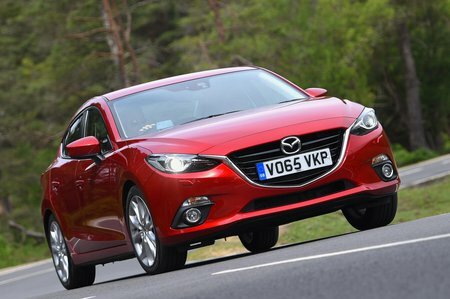 All cars get Mazda’s six-speed manual gearbox, which has a reasonably short throw and a precise action. There’s a six-speed automatic too, but it isn’t available in base trim. The auto can be slow to react and significantly dents the performance and efficiency compared with the manual.